Last week was International Women's Day, so it was a good occasion to get a few cool women cyclists to air their views on what this day means to them. There were a lot of women who have a spectrum of opinions on this day, which was first commemmorated unofficially some 100 years ago. Some wonder if we need such a day. After all,, every day should be international women's day. Others, and I am sure there are men who think this, that there should be an international men's day. For my part, I think that it is a bit gimmicky, but I guess it doesn't do any harm, and it is not a bad idea to celebrate the achievments of inspirational women. But really, if we could live in an era where you don't have to always be saying "this is the first woman to do ......" or "isn't great that women are now being paid the same as men or being given equal prize money for such and such a cycle race" then a day like Internationa Women's Day would be less relevant. So until that day comes, I see no reason to stop celebrating 8th March! "International Women's Day is important and necessary for various reasons. For me it is commemorating past struggles for equality, celebrating women who may not have had proper recognition in their lifetimes, but also to highlight that we are still trying to combat prejudice, to highlight those undertaking this work, and to acknowledge them. "In the centenary year of the Representation of the People Act there is particular historical weight, and a chance to see both how far we have come, and how far we still have to go." "International Women's Day is a day to celebrate women’s achievements, especially in the previously thought, impossible fields. Personally, I am proud to have been competing in, and completing triathlons since 1984/85, and being among the first females in Great Britain to attempt a triathlon. "In my first event there were 57 men and just two women.....we not only took part but we finished ahead of many of the men. International Women's Day is also about continuing the fight for equality in all fields." "International Women’s Day is a celebration and memory of all the inspirational women out there that have impacted positively on all our lives, male and female. There are the obvious women such as Emmeline Pankhurst and Rosa Parks whose strength to make the world better inspires me daily, and I can only hope to have an inch of their power of determination to make things right for us all, but today I focus on the enormity of what they achieved. "There are also the women whose names I don’t know. The ones striving daily who are discriminated against for their gender. The ones writing blogs on women. The women pushing glass ceilings, the ones who juggle work and family and still ensure their child has the right snack at the right time, and the right socks dry because that’s important to their child. The women who stay home and raise their kids - the hardest job of all. "The women who decide that they don’t want kids and that’s none of our business; the women that do want children, but don’t or can’t. The women who are happy with their body - high 5 you sister - or the women who aren’t because the media portrays misleading imagery that we feel we must live up too. "The women who show their faith, and the ones that decide it’s not for them. The women of colour who deal with race and gender discrimination. The women who perhaps weren't born as women, but who cares, you are now. "All these women are today in my thoughts a little more. And to all these women I say you rock sister, you are stronger than you realise and your ripple effect reaches far. Thank you." "Every day should be equality day despite gender. This particular day is good to focus on the strong, brave people who have and do bring about change for women." "For me it's about getting the same rights as men in every part of the world, and in all aspects - at work, in sport, and at home. Nobody is superior to anyone else. 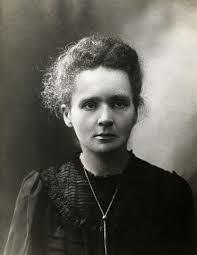 "One of my heroines is Marie Curie and this is one of my favourite quotes from her:"
"For me, International Women's Day is a time to celebrate all we've achieved, and also to think about how much further there is to go. I'll also be feeling very grateful (as I do every day) for the amazing women I have around me, who inspire and encourage me to go further than I thought I could, and support me through the times when my self-belief flags." "International Women's Day is an opportunity to recognise and celebrate the people that inspire us, and those who have been instrumental and vocal in the positive changes we've seen over the years, impacting the lives we lead today. "When I was growing up both my mum and dad raced mountain bikes and trained on the track, and I was told that anything was possible. I had such strong role models and was given every opportunity do the activities I liked. I want every young child to feel like every door is open to them if they work hard enough, regardless of gender or background. "I was proud to host the launch of the OVO Energy Women's Tour on the eve of International Women's Day this year, where Chris Houghton, CEO of OVO Energy, and race director Mick Bennett announced equal prize money for the Women's Tour, to match the men's Tour of Britain. This is a huge step in gender parity and it's important to recognise the progression that has been made on a day like today. 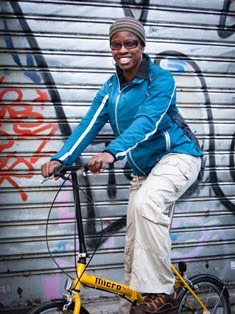 "I shared the stage with Lizzie Deignan, Elinor Barker, Orla Chennaoui, Emma Pooley, and Ruth Cadbury MP. When I first worked in cycling I knew less than a handful of women in the industry; now we have so many female voices. "It's an exciting place to be for the future, and these strong, female sporting role-models, journalists, presenters and MP are more visible than ever, which I hope inspires even more girls and boys to feel anything is possible at any age. It's never too late to start something new." "International Women's Day means celebrating women for all the things that bring them together and set them apart." "For International Women's Day, a picture of our grandma and her friends in the 50s (second one from the left). 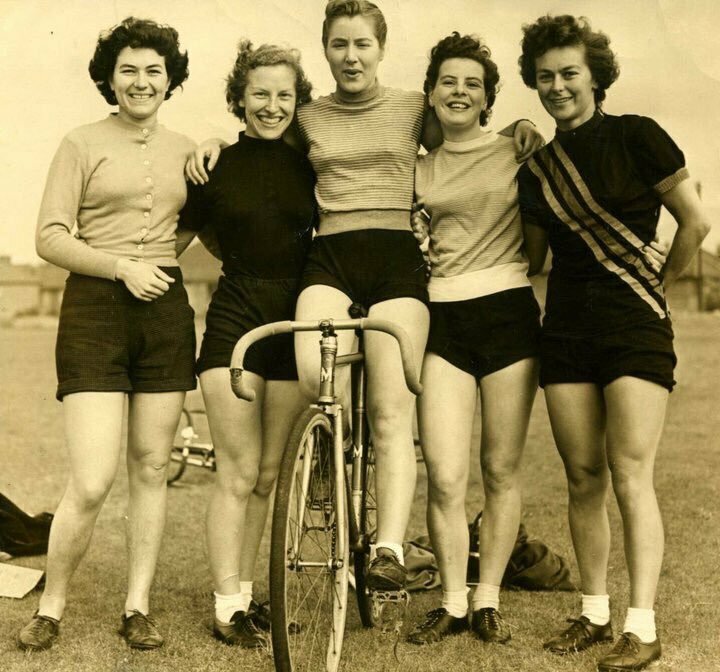 Women's cycling has come SO far, I should think they would all be proud!"